We use our eyes constantly on a daily basis, so any type of irritation can be quite bothersome, even if it’s mild dry eyes. If you’re finding yourself rubbing your eyes a lot due to dryness from allergies, it can be disruptive to your work and daily life, especially since rubbing can exacerbate the irritation. Before you head to Spindel Eye Associates, there are a few steps you can take to keep your eyes refreshed while out and about. These methods can provide temporary relief before you get professional help. When your eyes are dry, this is due to a lack of natural lubrication, which is usually provided by your lacrimal or tear glands. To give your tear glands some extra help, you can try artificial tear drops. Because there are many types of these drops, you might want to try a few before settling on the one that’s perfect for you. 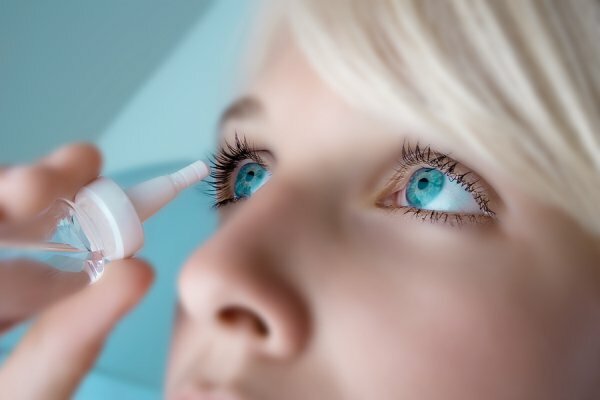 Should you feel like your eyes are temporarily feeling better and less scratchy, you should still continue using your artificial tear drops in order to keep them lubricated still. Many people don’t keep their bodies well-hydrated, and you can be dehydrated without even knowing it. Mild dehydration can cause your dry eyes to become even worse. By simply drinking more water throughout the day, and keeping up with it, you may find that your symptoms of dry eye will ease up, along with other mild health problems, such as dry skin and chapped lips. Make sure to drink extra amounts of water when the weather is especially hot, windy, or dry. As part of holistic treatment, nutritional supplements are often times recommended as part of your daily regimen. For maximum efficiency on fighting dry eye symptoms, you should take supplements that have omega-3 fatty acids, as scientific studies have shown that they help with dry eyes. Some fish high in omega-3 fatty acids include herring, sardines, salmon, and cod. If you’re a vegetarian, you can try taking flaxseed oil supplements instead. For a more permanent fix for your dry eye problems, you should visit the eye specialistS at Spindel Eye Associates. We offer two types of permanent solutions for dry eyes to provide you with relief — LipiFlow and IPL treatments. LipiFlow is a procedure offered to people who suffer from Meibomian Gland Dysfunction, or MGD. This is a condition where the Meibomian glands of your eyes fail to produce enough oil on your eyelids. Because there is a lack of oil on your eyelids, your tears evaporate quicker, thus producing the symptoms of dry eye. LipiFlow is a FDA-approved procedure that gets rid of Meibomian gland blockage and helps restore full function of these glands. IPL stands for Intense Pulsed Light and these lights are pulsed onto your cheeks and under your eyelids. Afterwards, our doctor will express your Meibomian glands in order to clear any blockages in them. You will need to return once a month for four months for repeated treatments.